It’s a giant state, rich in history, deserts, and even pine forest. Whether you’re looking to go to the state capital of Austin, or the state’s largest city, Houston, we’ve got you covered. Check out our list of ten of the top graphic design schools in Texas. 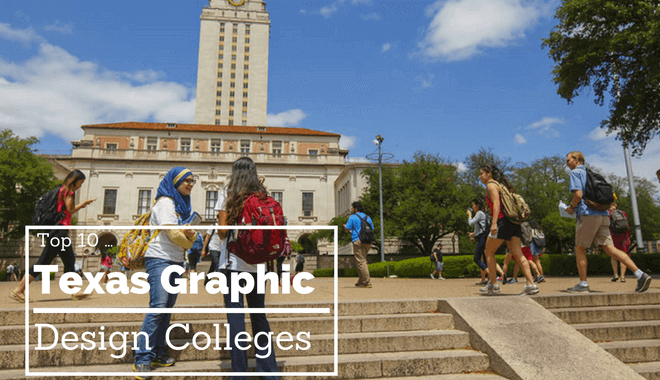 What are the top Graphic Design Schools in Texas? Although it isn’t apparent based on the degrees offered, Texas A&M University-Commerce can assist you in your pursuit of a graphic design career. Texas A&M University-Commerce offers three different focuses within their Visual Communication Major program. It’s up to you to pick the concentration that most aligns with what you want to do. The BFA program is a five-year endeavor. If you’re looking for a broad, practical foundation across multiple disciplines such as mathematics, history, behavioral science, and humanities, this university is a good option for you. They provide you with that broad foundation, building up into specialized studies of visual mediums and visual communication. The BFA program at Texas Christian University has a long-term placement record of 95%. In recent years, TCU can boast a placement rate of 100%. One contributor to this placement success is likely the mandated creative internship. In the summer after your third year of classes, you a required to take a creative internship to earn upper-division credit. The BFA does not require a foreign language. The BA, on the other hand, does require a foreign language. It also requires a second major, or at the very least a second minor. Whether you’re looking for a BFA or a BA, Texas Christian University is worth a close look. The University of Texas at El Paso can equip you with the technical graphic design skills you’ll need to succeed in the corporate design world, a freelancing practice, or the path of education. The program starts with a strong focus on typography. The emphasis shifts to expressive skills and individual investigation. By the end of the program, you’ll have mastered practical design skills and developed a creative approach to visual communication. West Texas A&M University is located in Canyon, Texas. Canyon has a population of about 14,600 people. Last year, WTAMU had 9,489 students enroll in their programs. Of these, 7,281 were undergraduates. The Graphic Design program puts students through 15 hours of rigorous graphic design courses. You can expect another six hours of graphic design as you navigate through the Intermediate Core coursework. On top of this, you can expect nine hours of computer art classes, nine hours of art history classes, and nine hours of art electives. The University of Houston has a low student-to-professor ratio. If you like a good bit of personal guidance from the instructors, you’ll get it. If you like a small, more close-knit class, you’ll get it. From a curriculum standpoint, you can expect to discover the theory, methods, practice, and design of design. The curriculum investigates the emerging trends in communication media, as well as the trends in contemporary culture. The University of Houston will help you cultivate your critical thinking skills and flex your imagination. An added bonus is the sizable alumni organization, UHGAP. Students can expect support from UHGAP through scholarship and educational opportunities. Remington College-Fort Worth campus offers an Associate Program in Graphic Design. Unlike some other programs, Remington College does not require any prior graphic design experience. In fact, they don’t require any formal training or prior coursework to enter their program. The graphic design program and Remington College covers the graphic design theory fundamentals. It also covers the current graphic design software. You can expect to cover typography, digital image editing and illustration, page-layout software, portfolio construction, and more. This could be a good opportunity for students lacking design experience and a portfolio. At the Art Institute of Houston, the graphic design degree is all about creatively expressing yourself using visual communication. It’s important when working as a graphic design artist to never lose track of your recipient. The Art Institute curriculum includes the standard typography and illustration courses, but also incorporates heavy elements of web development and interface design. In both cases, you’ll use your mastery over visual communication elements to solve problems and communicate information. It’s worth noting that if you attended the ITT Technical Institute, you may be able to transfer your credits to the Art Institute and have it count towards your degree. Saint Edward’s University works to give you a solid foundation on which to build by starting with traditional print design studies. Understanding where original print design theories and practices came from will form the foundation of your education as you move into the digital design world. Saint Edward’s University will task you with looking critically at how image, form, and typography are used by graphic designers to influence and shape visual environments. Saint Edward’s University will push you to create across several different mediums, ensuring that your visual design skills are well-rounded. You are required to submit a portfolio for review by the school’s Graphic Design department, whether you are a new student or looking to transfer. North Lake College is part of the Dallas County Community College District. This college doesn’t offer a full bachelor’s degree program. 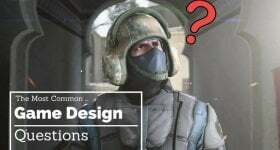 However, they offer programs that will expose you to computer graphics programs, which can prepare you for a career path in graphic design and similar fields. The computer graphics field is a unique combination of graphic design, computer technology, and traditional creative art. It’s essentially graphic design with a strong technological focus. Potential careers for computer graphics graduates are: advertising, animation art, graphic design, web design, and film and television careers. 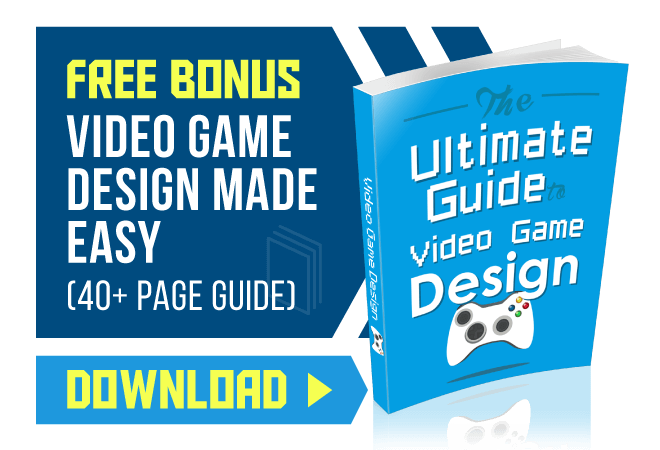 While it won’t say “Graphic Design” on your diploma or certificate, you’ll have the skills you need to navigate that career path. Wade College will help you develop your creativity, your technical skills, and your presentation skills. Your first two years will be full of theory and the history behind design. The early years will also expose you to the current trends and practices in visual communication. After the foundational exposure, instructors will guide you on your path to cultivating a unique design style. You can expect the latest industry software, and hardware with the power to do what you need it to do. You can expect some serious exposure to the Adobe Creative Suites. Your latter two years at Wade College will expose you to real-life simulations of visual communications problems. This is part of their process for pushing you from a student into a professional, exposing you to real industry design challenges.